Takashi Shibayama’s typical day starts at 1 a.m. He wakes up, hurriedly throws on some clothes and sits down to eat the simple breakfast his wife prepares for him — a bowl of rice, miso soup and pickled Kishu ume. His older brother, Shinichi, picks him up at 2 a.m. and, together, they travel to Tokyo’s Tsukiji fish market to work in Shibasen, a family-owned intermediate wholesaler that was founded by Shibayama’s grandfather and has been in operation for about 90 years. The market is already in full swing when the brothers arrive, with traders unloading fish from vehicles by the dozen and turret trucks zipping between stores carrying piles of boxes full of seafood. While much of Japan is in a deep slumber, Tsukiji fish market is full of activity. 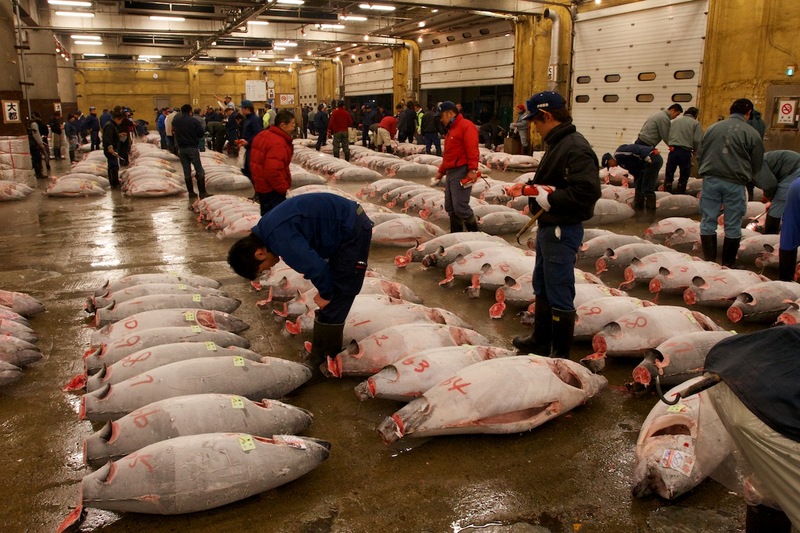 Tsukiji fish market is one of 11 wholesale markets in operation in Tokyo. Built in 1935, it is the oldest market in the city. About 480 different varieties of fish and 270 varieties of fruit and vegetables are handled at the market on a daily basis. The market’s vendors distribute produce that is sourced from not only all over Japan but also from other countries. The market never sleeps — it is open 24/7, with about 42,000 people and 19,000 vehicles going in and out everyday. On average, the market logs total daily sales of about ¥1.8 billion, with around 1,800 tons of fish and 1,160 tons of fruit and vegetables sold daily. Tsukiji fish market has over the years become more than just a market — it has become a cultural landmark. Around a year from now, on Nov. 2, 2016, the market will close the doors on its 80-year history as it prepares to move to a new site in the Toyosu district of Tokyo’s Koto Ward. Shibayama has worked at Tsukiji fish market for 40 years. He left Shibasen after being embroiled in some family squabbles and spent 30 years with another vendor in the market. He rejoined his family’s business in 2009. Every morning, without fail, he scours wholesalers in the market in search of different varieties of fish. He makes his purchases based on quality and cost. Shibayama is one of four traders at Shibasen, which also include his brother and his brother’s eldest son. They all buy and sell their produce independently of each other, servicing their own portfolio of clients. On the morning of my visit, Shibayama had assembled an eye-popping selection of conger eel, bonito, flounder, red snapper, mackerel and blue crab, among other things. The seafood is packed in styrofoam boxes filled with ice and displayed to customers under bare incandescent bulbs that hang from the ceiling. 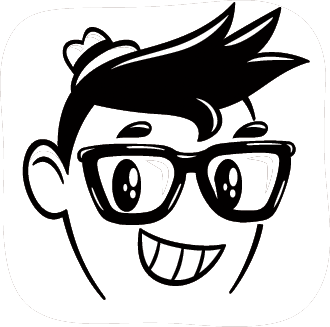 Customers drop by one after another, and Shibayama isn’t slow to offer his recommendations. If the customer is interested in purchasing an item, they negotiate a price. Trust is obviously an important part of their relationship. Like many other Tsukiji veterans, Shibayama was originally against moving the market to Toyosu but since the decision has been finalized, he wants to maintain a positive outlook. In August, Shibayama published a book titled “Arigato-yo Tsukiji” (“Thanks Tsukiji”) by Kosaido Publishing, an autobiography about his experiences in the market over the past 40 years. The Tokyo Metropolitan Government, which oversees all markets in the capital, including Tsukiji, cites various reasons why a new location is necessary. The facilities at Tsukiji fish market are too old, it says, while also highlighting a lack of space and sanitation issues. Eisuke Urawa, director of the Tokyo Metropolitan Fisheries Wholesale Association, says as much as he loves Tsukiji, he realizes the time has come to move on. The existing 23-hectare Tsukiji market is going to be reborn in Toyosu on a multiple-floored 40-hectare site. The area will be divided into three separate buildings and, unlike the existing market, the auctioning space will be housed in one facility and intermediate wholesalers will be located in another. Construction on the new site is expected to be complete next spring. The market will become completely closed off from outside, with temperature-controlled buildings to keep the produce in a cool, hygienic environment. The closed structure will also regulate public access, says Urawa, as people can wander about freely in the existing market space at Tsukiji. Coordinating a move that involves hundreds of companies, however, is far from straight-forward. Urawa is responsible for coordinating discussions between the existing vendors at Tsukiji and the metropolitan government. Urawa says plans have been drawn up to conduct a series of logistical simulations on the new site in the first six months after construction is complete. Once finished, the market’s entire sales network would be moved over the course of a few days in the beginning of November 2016. The metropolitan government drafted a plan as early as 1985 to renovate Tsukiji, constructing a two-story building that would house seafood products on the ground floor, fruit and vegetables on the second floor, and a parking lot on the roof. However, projected costs soon swelled from the initial forecast of ¥238 billion to around ¥340 billion by 1996, while the estimated period for construction was extended from 14 years to more than 20. In the end, then-Tokyo Gov. Shintaro Ishihara decided to abandon plans to renovate the existing site and, instead, build a new market in another location. “(Tsukiji’s) too old, small and dangerous to be used as Tokyo’s kitchen,” Ishihara noted when he visited the market in September 1999, the year he was first elected as Tokyo’s leader. Later, the outspoken governor added “dirty” to his list of adjectives. The municipal government officially dropped the renovation plan in 2001 and decided to move the market to Toyosu. That was, however, easier said than done because the soil at the relocation site, formerly owned by Tokyo Gas Co., has been found to be contaminated. The gas company revealed that the area contains a high level of chemicals, including benzene (which was 43,000 times above environmental safety standards) and cyanogens (860 times above environmental safety standards). Other toxins that were detected on the site include arsenic, mercury and cadmium. The cost of cleaning up the contamination is now expected to be more than ¥84.9 billion, of which Tokyo Gas has contributed ¥7.8 billion. The total project cost swelled from what was estimated to be ¥392.6 billion in 2011 to the most recent figure of ¥588.4 billion. Naturally, existing operators in the market have expressed concern over the move. The metropolitan government insists the contamination is contained, arguing that only 15 out of 4,122 areas in the soil and groundwater it checked were highly contaminated. Its website, however, also adds that areas where the level of contamination is 10 times higher than environmental safety standards or more actually makes up 36 percent of the whole area. “I think the degree of contamination is very serious,” Nakazawa says. Tokyo has already spent several years cleaning up the contaminated soil in Toyosu, announcing that decontamination work had been finished in October 2014. A metropolitan government official says Tokyo is currently monitoring the groundwater at the Toyosu market to ease residents’ concern over the contamination. When the market opens on Nov. 7, 2016, the official says, a new monitoring system will commence operation. According to Nakazawa and others who are against the move, however, the cleanup is far from done. Through their own research, they claim to have found that the metropolitan government failed to conduct tests that are necessary by law in 333 areas at the bottom of the aquifer. While Tokyo admits it didn’t check some of the aforementioned areas, it has no plans for further testing, arguing that it conducted all of the necessary tests that were recommended by Tokyo’s special panel in charge of the contamination. Nakazawa has been organizing demonstrations with such organizations as the Consumers Union of Japan, opposing the relocation and calling on the municipal government to focus on renovating Tsukiji fish market instead. As time ticks away, however, Nakazawa admits that most of the people openly opposing the relocation aren’t directly involved in the running of the market. In February this year, Nakazawa surveyed 650 intermediate wholesalers regarding their views on the relocation. Out of the 254 respondents, 70 percent, or 179 shops, said construction for the new facility should be suspended until the area is completely toxin-free. A further 55 percent said that the Tokyo Municipal Government gave little or no explanation on the details of the relocation to Toyosu. Their main concerns centered on the running costs of the new facility — the details of which, including the monthly expenses, have not been disclosed — and the contamination of the area. 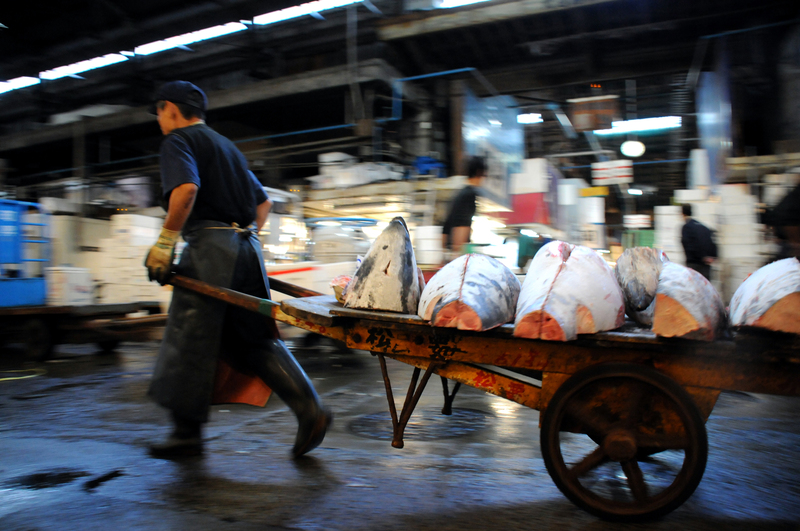 In July, the labor union for the fish market’s intermediate wholesalers revealed that 69 known companies have decided to end their businesses in Tsukiji. It is still unclear just how many companies will move to Toyosu out of the current 609, but the number of intermediate wholesalers is rapidly decreasing due to a lack of heirs who can continue their legacy. Shibayama’s brother, Shinichi, had also considered closing Shibasen. The younger brother was going to respect whatever decision Shinichi made, because he comes from a very traditional family whose oldest son always inherits the shop and is the decision maker. When asked for his opinion, however, Shibayama expressed an eagerness to continue. Shibasen is expected to continue, with Shinichi’s oldest son looking to eventually run operations. “I hope I can help my brother pass the baton of Shibasen on to his son,” Shibayama says. At 7:30 a.m., most Styrofoam boxes at Shibasen have gone. Shibayama, however, still does not stop moving. He begins to mop the floors, washes the buckets and scrubs the walls clean. He may be the younger brother of the president but, at Shibasen, he’s still a newbie. Together with his nephew, they clean the shop in preparation for the next day. By 8 a.m., the market has calmed down as an increasing number of people begin to scrub their stalls as well. It is another beautiful fall day in Tokyo and shafts of sunlight begin to make their presence felt in the building. For the rest of Japan, the day has just begun. This entry was posted in Food, History, Interviews, Links, News, Travel and tagged Arigato-yo Tsukiji, book, fish, fish market, Japan, Japanese, Japanese food, sashimi, sushi, Tokyo, Tsukiji, Tsukiji fish market. Bookmark the permalink.